Online purchase is convenient and people who live in rural areas are able to buy Apple products since the Apple Shops, Apple Premium Resellers, Apple Authorized Resellers are not covered in every area of the country. Purchasing online is unlike how you purchase items from physical shop, you can check and pick the items on the spot. On the other hand, you will have to wait for the purchased products to be delivered to your place. That certainly makes you feel excited waiting and keep tracking the shipment daily or even hourly. So how long does it takes to be delivered after ordered via Apple Online Store? 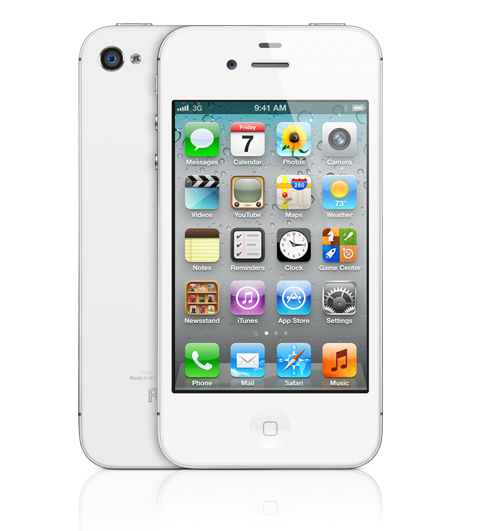 I've just ordered a white iPhone 4S 16GB via Malaysia Apple Online Store and I have to admit that now I'm excited like a kid in a candy store. I will keep on updating the shipment progress on this post daily until it reaches my doorstep. Despite the excitement, I am also worry about the iPhone's infamous yellowgate issue. Apple Online Store has a return policy so if you're dissatisfied with an item, you can return the item back to them. But the link of Sales & Refunds Policy in Malaysia Apple Online Store shows me "The page you're looking for can't be found." It could mean they have no such policy in Malaysia. So, finger crossed I will get the device in fine condition. Apple Online Store accepts credit card and debit card with VISA or MasterCard logo payment methods. I ordered iPhone 4S on 17 January 2012 around 12am. It estimates will be delivered to me in between 30 January 2012 and 1 February 2012. It took a few hours for them to process and prepare the item for shipment. In less than a day, the iPhone has shipped with DHL and they will provide you a link to track the shipment. Day 3: I've received my iPhone 4S. That's fast!